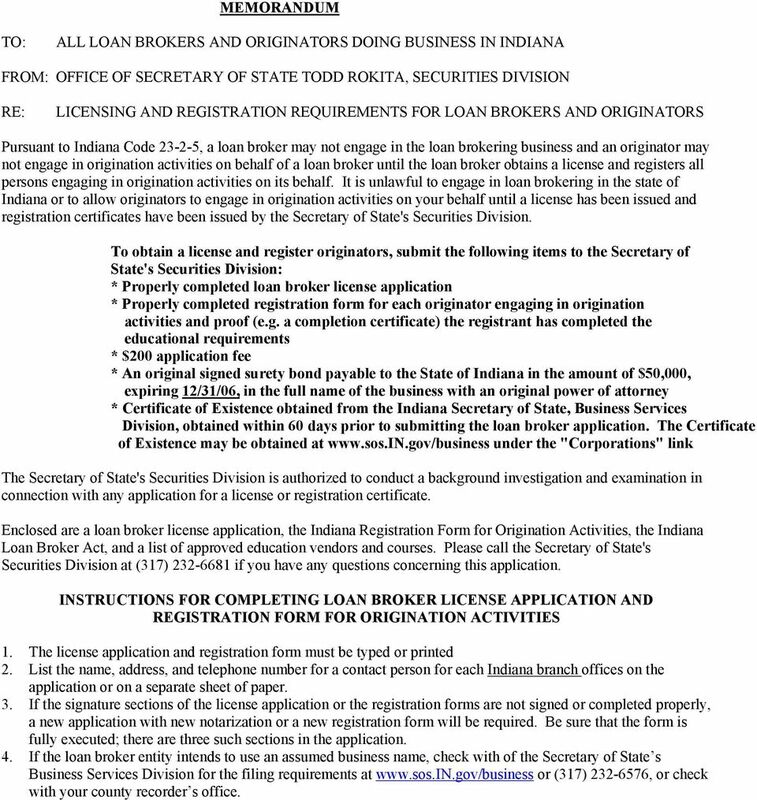 Download "ALL LOAN BROKERS AND ORIGINATORS DOING BUSINESS IN INDIANA FROM: OFFICE OF SECRETARY OF STATE TODD ROKITA, SECURITIES DIVISION"
1 MEMORANDUM TO: ALL LOAN BROKERS AND ORIGINATORS DOING BUSINESS IN INDIANA FROM: OFFICE OF SECRETARY OF STATE TODD ROKITA, SECURITIES DIVISION RE: LICENSING AND REGISTRATION REQUIREMENTS FOR LOAN BROKERS AND ORIGINATORS Pursuant to Indiana Code , a loan broker may not engage in the loan brokering business and an originator may not engage in origination activities on behalf of a loan broker until the loan broker obtains a license and registers all persons engaging in origination activities on its behalf. It is unlawful to engage in loan brokering in the state of Indiana or to allow originators to engage in origination activities on your behalf until a license has been issued and registration certificates have been issued by the Secretary of State's Securities Division. To obtain a license and register originators, submit the following items to the Secretary of State's Securities Division: * Properly completed loan broker license application * Properly completed registration form for each originator engaging in origination activities and proof (e.g. 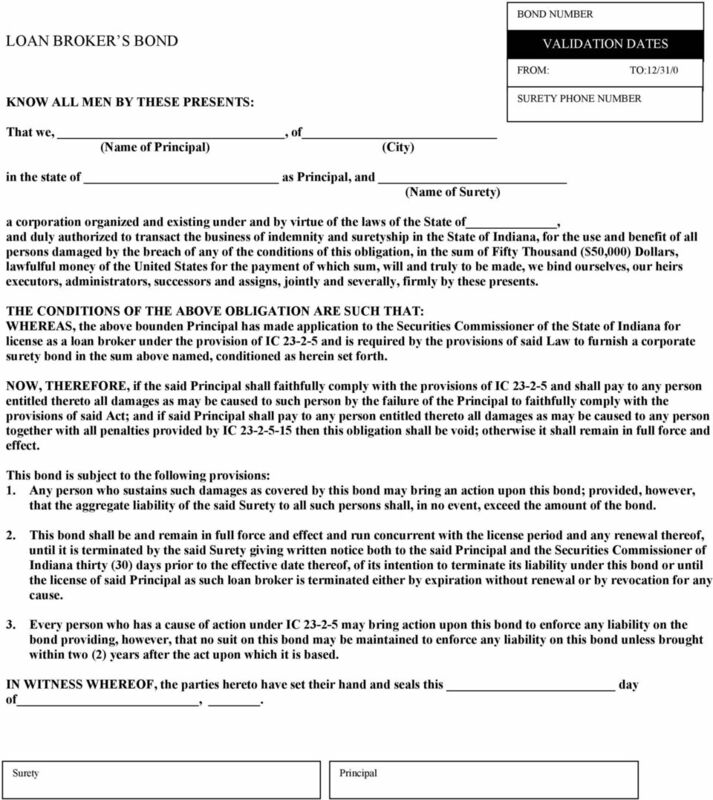 a completion certificate) the registrant has completed the educational requirements * $200 application fee * An original signed surety bond payable to the State of Indiana in the amount of $50,000, expiring 12/31/06, in the full name of the business with an original power of attorney * Certificate of Existence obtained from the Indiana Secretary of State, Business Services Division, obtained within 60 days prior to submitting the loan broker application. The Certificate of Existence may be obtained at under the "Corporations" link The Secretary of State's Securities Division is authorized to conduct a background investigation and examination in connection with any application for a license or registration certificate. 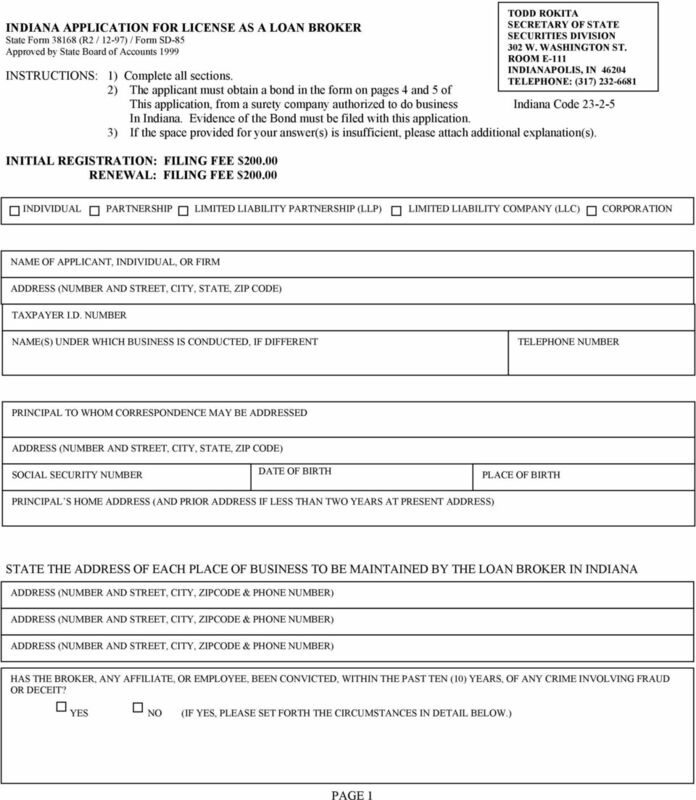 Enclosed are a loan broker license application, the Indiana Registration Form for Origination Activities, the Indiana Loan Broker Act, and a list of approved education vendors and courses. 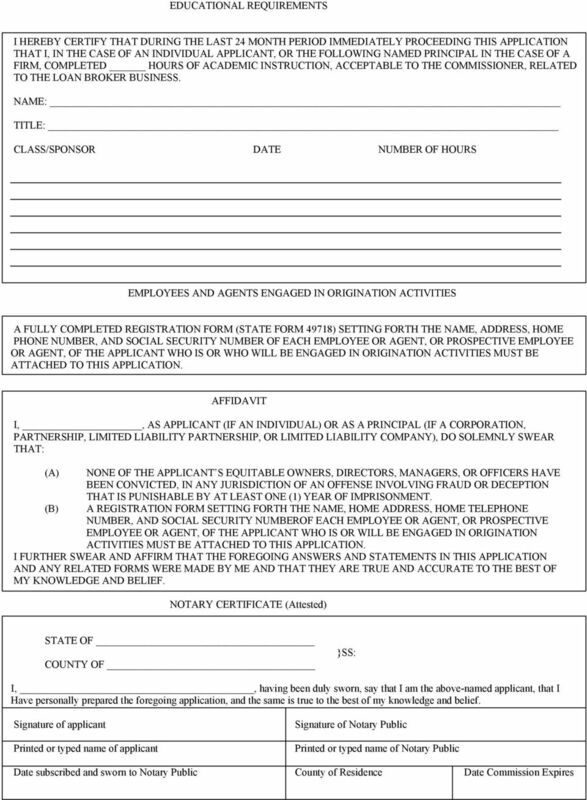 Please call the Secretary of State's Securities Division at (317) if you have any questions concerning this application. 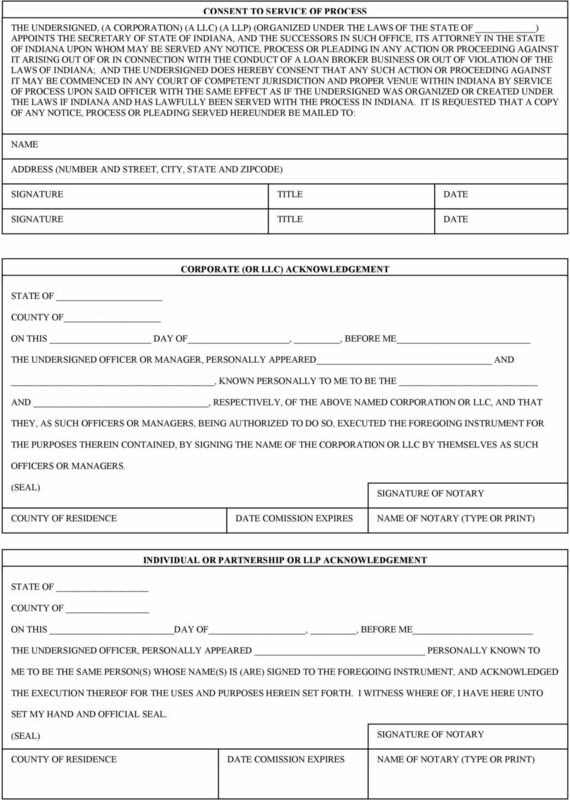 INSTRUCTIONS FOR COMPLETING LOAN BROKER LICENSE APPLICATION AND REGISTRATION FORM FOR ORIGINATION ACTIVITIES 1. The license application and registration form must be typed or printed 2. 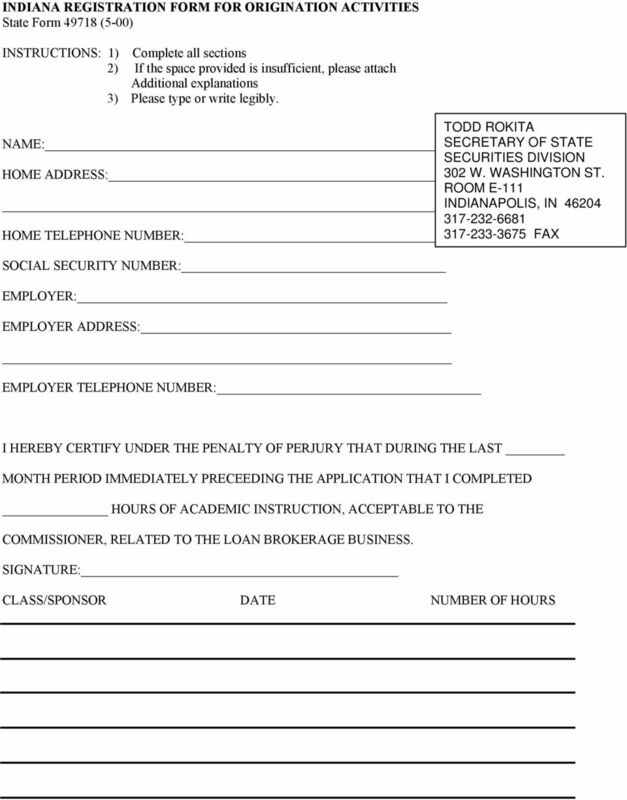 List the name, address, and telephone number for a contact person for each Indiana branch offices on the application or on a separate sheet of paper. 3. If the signature sections of the license application or the registration forms are not signed or completed properly, a new application with new notarization or a new registration form will be required. Be sure that the form is fully executed; there are three such sections in the application. 4. 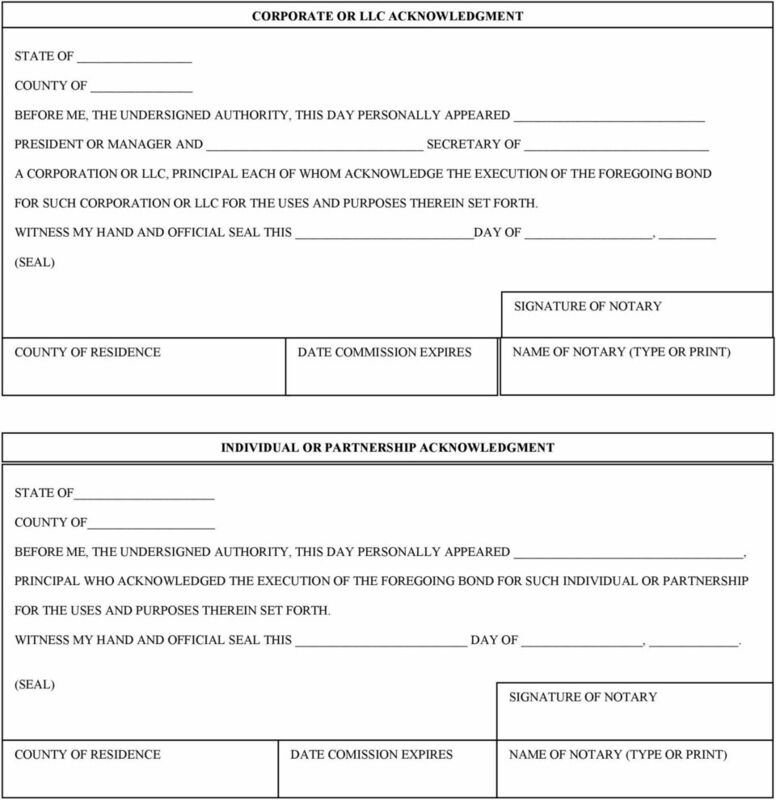 If the loan broker entity intends to use an assumed business name, check with of the Secretary of State s Business Services Division for the filing requirements at or (317) , or check with your county recorder s office. For more information you may contact Jeannette Martínez at (787) 723-8403 or 723-3131 ext. 2305. General Contractor Registration Application Please read and follow these instructions. SOUTH DAKOTA DIVISION OF INSURANCE 124 S Euclid Ave, 2 ND Floor Pierre, South Dakota 57501 (605) 773-3563 http://dlr.sd. SOUTH DAKOTA DIVISION OF INSURANCE 124 S Euclid Ave, 2 ND Floor Pierre, South Dakota 57501 (605) 773-3563 http://dlr.sd.gov/insurance Purchasing Group (PG) Registration To Do The Business of Insurance.